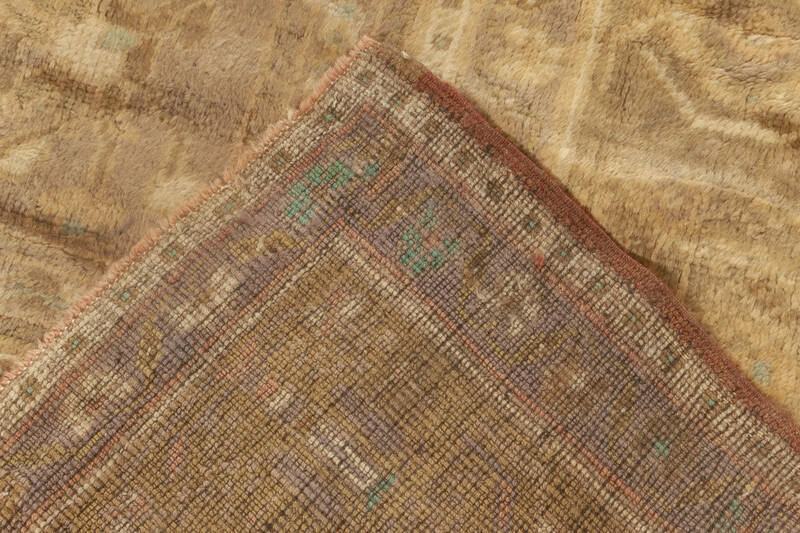 Together with Kilims, Oushak rugs are among most popular types of antique Turkish carpets. 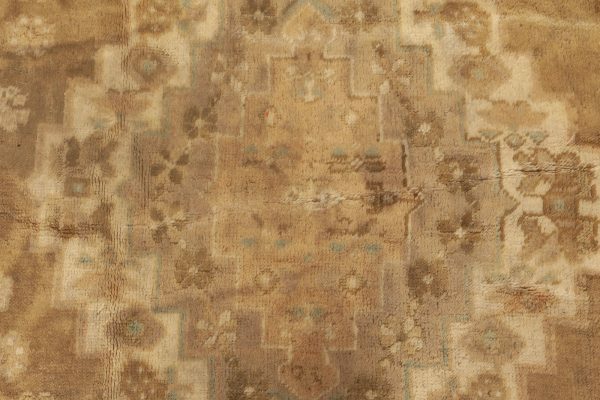 Oushak rugs are traditionally classified as Anatolian, making them a part of Turkish rug family. 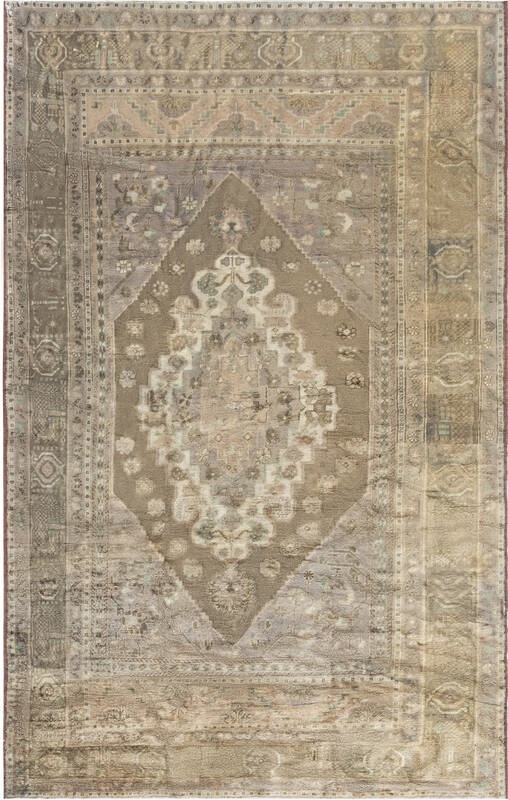 Until the eighteenth century, most popular designs for Oushak rugs were ‘medallion’ and ‘star’, often depicted in jewel tones of brick red, terracotta, deep blue and gold. Vintage Oushak rugs can be characterized by their rather loose knots, which result a fairly long pile. 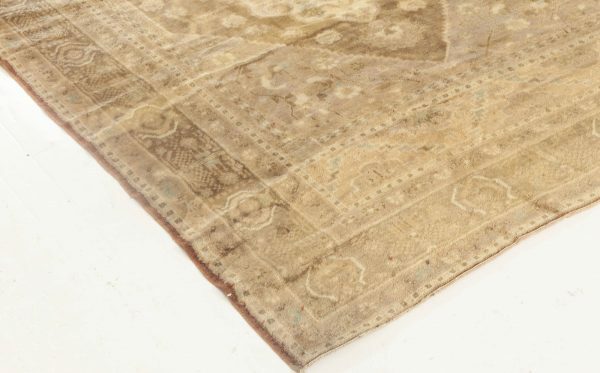 Stunning design of this vintage Oushak runner is a true feast for the eyes. 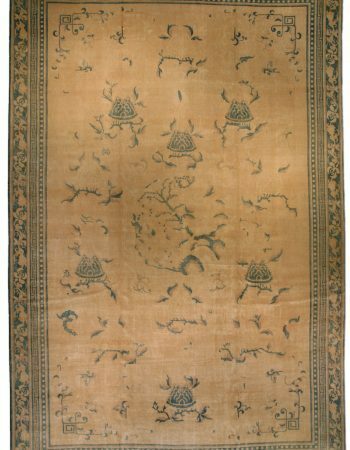 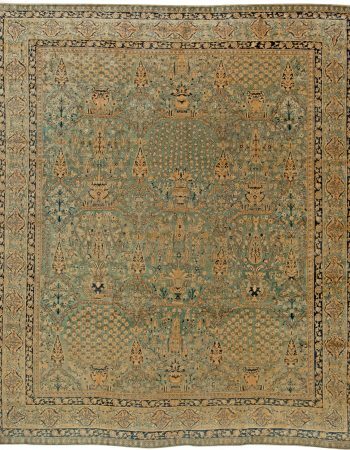 It was hand knotted by a skilled craftsman in the mid 20th century, circa 1950. The pattern visible on the pile includes a beautiful geometric composition inspired by traditional Turkish rugs. 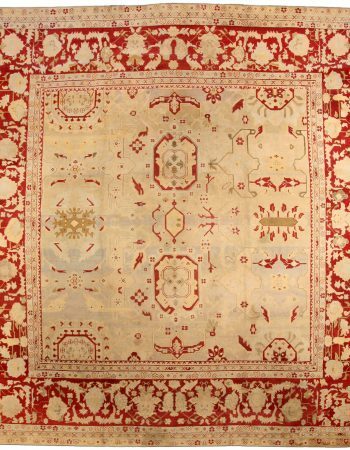 The decorative central medallion is accompanied by a subtle floral design. 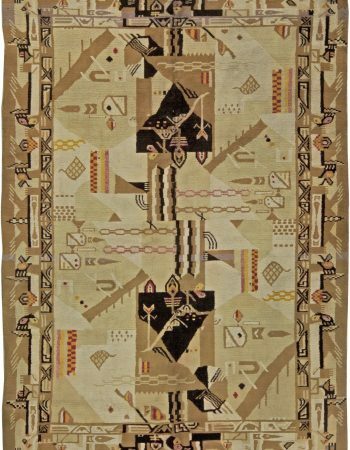 The whole is bordered by a frame featuring a geometric design. 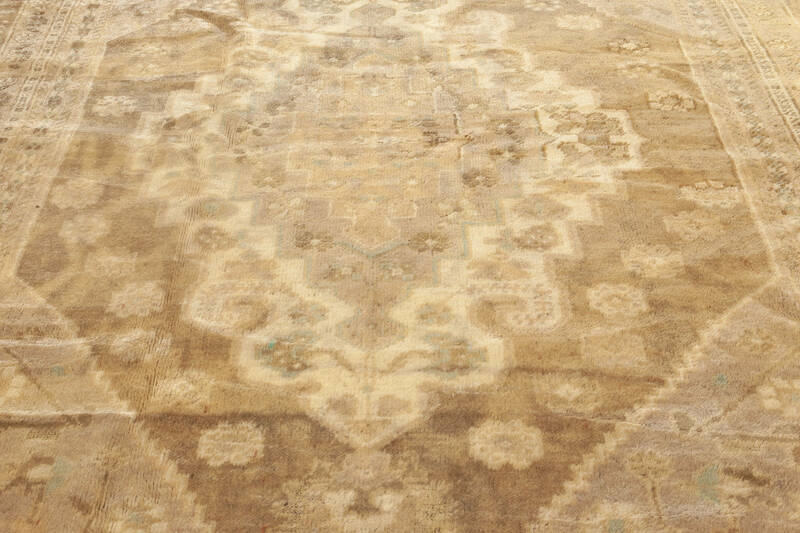 Rug’s color palette contains calming shades of brown and beige. 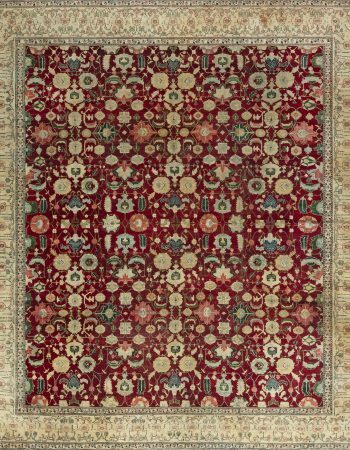 Doris Leslie Blau’s collection of high quality antique rugs and modern carpets contains some of the most beautiful pieces in the industry. 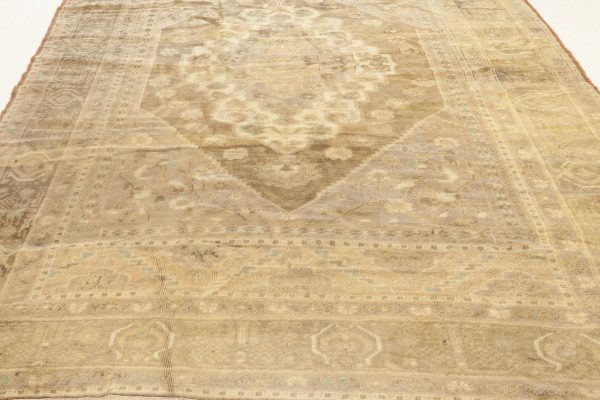 Often featured in interior design magazines, such as Architectural Digest or Elle Decor, those rugs are gems waiting to be discovered by you, so don’t wait! 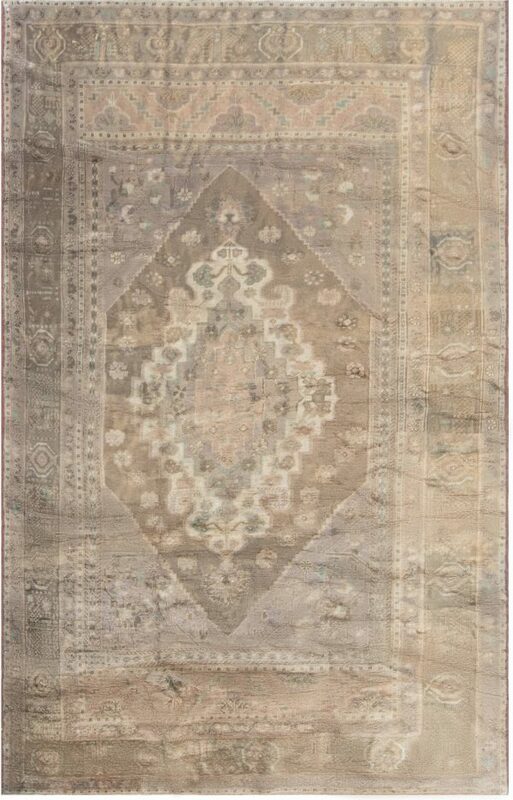 All you have to do is to visit our webpage and indulge in the most luxurious shopping experience offered by Doris Leslie Blau.